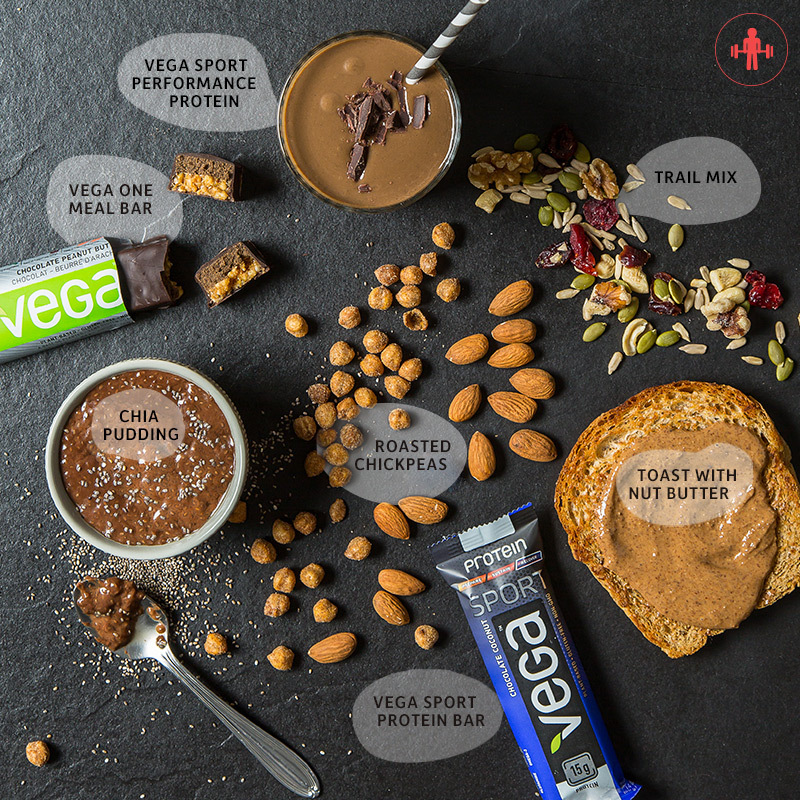 To make a protein bite, mix nut butter, sweetener, Vega® Sport Protein and flavor-rich ingredients together into a bite-sized ball. You can play around with flavor combinations and ratios, but this Energy Bite recipe is our go-to at Vega HQ. The more nuts and seeds in your trail mix, the higher in protein it will be. So don’t just reach for the chocolate or coconut pieces if you’re hoping to increase your protein consumption! Toast up a slice of gluten-free or sprouted whole grain bread and slather on your favorite nut butter. Almond, peanut, cashew, pistachio, sunflower...what’s your go-to nut butter? This convenient protein bar has not only 20 grams of protein, but also 3 grams fiber. Feel good about fueling with mouthwatering Chocolate Peanut Butter and Salted Caramel flavors, all made with real plant-based food ingredients. If you already love chickpeas in salads and hummus, have you tried them roasted as a snack yet? These dried chickpea recipes help to cure any chip cravings with a flavorful protein punch. Whether you’re looking for a post-workout, or anytime, protein boost, Vega Sport Protein Bar has 3.5 grams BCAAs, and tart cherry on top of 20 grams plant-based protein. Whether you make it in the microwave or oven, this mug cake is a perfectly gooey protein snack. Adding a serving of Vega® Protein & Greens bumps this chia pudding up to 20 grams of plant-based protein. What is your go-to protein snack? Note: this article was originally posted in May 2015 and has been updated.